The Perfect Gourmet Picnic Crisps! Last weekend, I tried out some new crisps. I’m a big fan of a sarnie and crisps for lunch, rather typically old school and British, but it’s good comforting grub! There seems to be so many crisp brands on the market at the moment, with similar branding, it makes me wonder how they can stand out from their competitors. Only last night I was watching the latest episode of Dragon’s Den, where a man from a new crisp brand was given a decent investment, so there’s obviously still a big market. 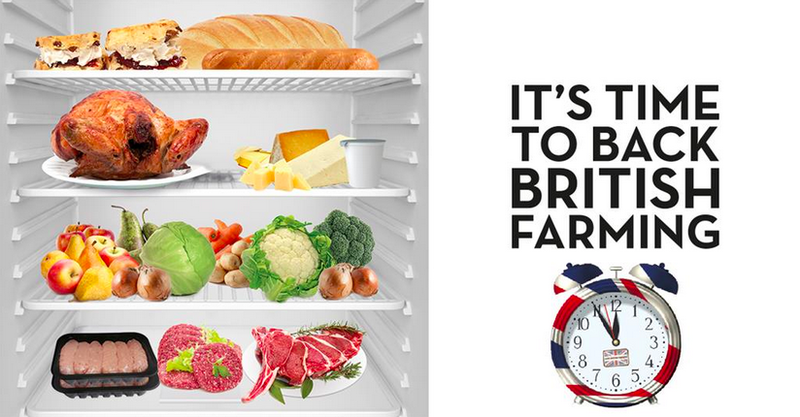 Corkers are a very British brand, with their crisps made on the 200 hectare family potato farm in Cambridgeshire. The crisp side of the business was set up by best friends Ross and Rod in 2010. 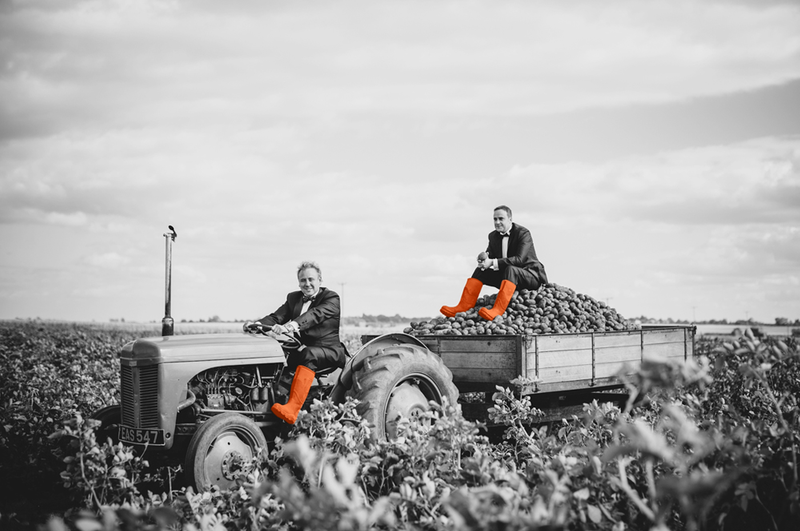 Their Naturalo potatoes are grown in a black peaty soil which was previously flooded for thousands of years, before being reclaimed in the 1800s and farmed by the family ever since. 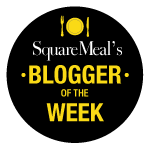 The land also contains bog oak, which gives the potatoes a rich, nutty flavour. The potatoes are then cut thinly and cooked in fresh sunflower oil. They have just won ‘Potato Grower of the Year’ by UK Growers, showing just how well respected these potatoes and the business are. One thing I would say about the crisp market is that the majority of products now seem to be of the harder, ‘crunchier’ variety. 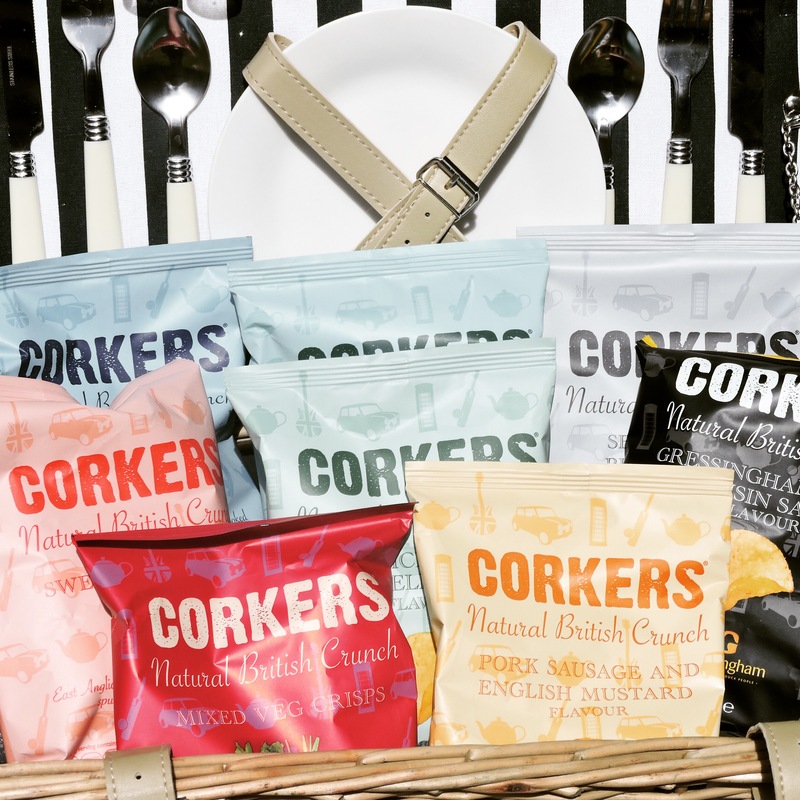 In fact, Corkers’ tagline is actually ‘Natural British Crunch.’ This was a bit of a novelty to begin with, but everyone seems to be making crisps this way now. For a change, I’d quite like to see a new ‘softer’ crisp. So on to the crisps themselves! Corkers have such a diverse range of flavours and some of the most unique I’ve seen. My favourites were the more unusual flavours, such as ‘Gressingham Duck & Hoisin Sauce’ and ‘Pork Sausage & English Mustard’ as it was nice to try something new. I also really enjoyed the Mixed Vegetable Crisps – they were really tasty and didn’t feel quite as naughty! The Sea Salt flavour is simple but delicious and won a Gold Award at the Great Taste Awards. All of the crisps are crunchy and packed full of flavour, without being greasy, like some others I’ve tried. 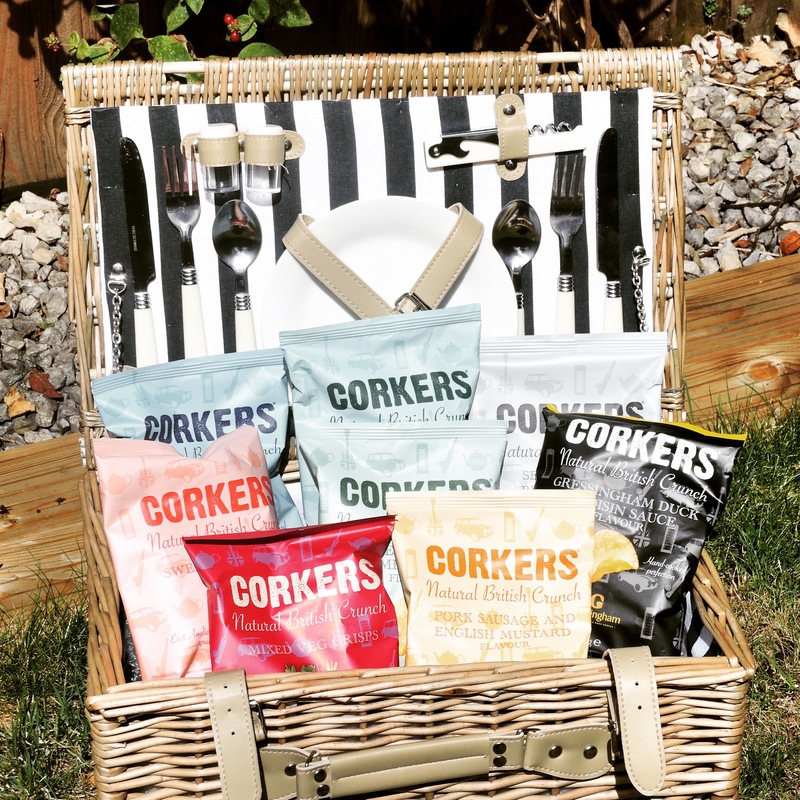 If you’re looking for some high quality crisps for a picnic, Corkers crisps are perfect. And because there are so many flavours, you can pretty much pair them with whatever you’re planning on eating with your picnic. ‘Food and Crisp Pairing’, a whole new concept! If you like to try them out, Corkers crisps are available to buy from Waitrose (and Waitrose.com), for £1.85 for a 150g bag, and are also stocked at the Tate museum and a number of National Trust venues. I was provided with a box of Corkers crisps by Corkers and Spring PR, but did not receive any payment. All views are my own. Photos are mine or from the Corkers website. Next PostA Berlin Brunch in London = Brünch!